Bizarre request I know right? Well there wasn’t stopping this man from putting together a campaign for the go-ahead of the tribute to the American Gangsta Rapper. Guy Stevens (an old college friend of mine), from Newhaven thought he would spark a debate in a local community group on Facebook about ‘erecting a statue’ in the town based in East Sussex, not far from Brighton. Not knowing his sense of humour, the local newspaper The Argus caught up with Guy about his campaign and even interviewed the local council to get their opinion on this. The council dismissed plans having no idea on who the artist Eazy-E was and would prefer something paying homeage to the Beatles. Now there was I thinking, this was absolutely hilarious that the press had given this coverage, however also realised what a clever ploy to get a town like Newhaven (relatively unheard of by people not in the area) on the map. Newhaven is a channel ferry port in East Sussex in England, with regular passenger services to Dieppe. With a relatively small population (12,000 people recorded on cenus back in 2011), I’m not surprised it’s unheard of. Now I had fond memories during my college years of visiting the town, so I thought why not support something as ludacris (not the rapper!) and crazy like this! The local council has now agreed that if Mr Stevens can raise £2,000 for a council-approved bench will now be permitted. Okay, this has been downgraded from the original concept of a statue, however this is still something and I applaud more people to recognise musical talent across a range of different genres. The NWA (part of the group that the late Eazy-E was in), alongside hip-hop superstars Dr. Dre and Ice Cube, were active from 1986 to 1991. The rap group endured controversy owing to their music’s explicit lyrics and even had their records banned from American radio stations during this period. Not everyone’s cup of tea, however more people should take a page from Guy’s book if they believe in something to make it happen. This has now received international media coverage and wouldn’t it be great if Dr. Dre and/or Ice Cube we’re available to make an appearance at the unveiling? 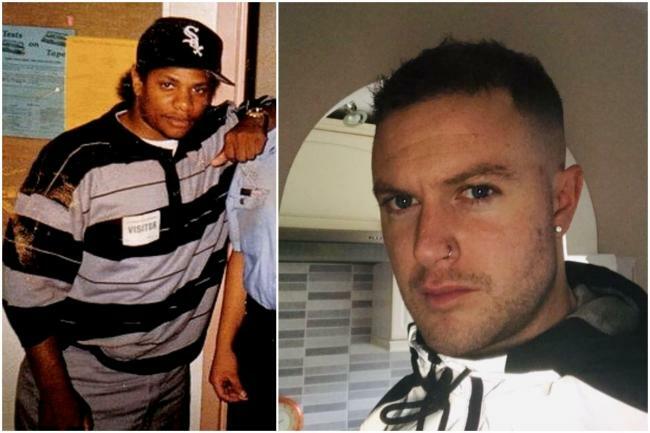 Let’s help Guy raise his £2,000 to fund for this to happen and any additional funds will be donated to a local Brighton based charity for HIV/Aids charity which is what Eazy-E died from in 1995. A generation of mullets, brightly coloured aerobics / fitness wear… yes I am being stereotypical, however what is it about this era that fascinates everyone? For many this was the era of voguish shoulderpads, voluminous hairstyles and smouldering stares, all heralding a daring new streak of ostentation. For the fans, it was a gift of dress-up glamour that brought escape from the humdrum. Embracing the rapid rise of a new electronic era, opening a new chapter into music. And of course, a lot of today’s music is ‘eighties-inspired’ as you can hear the synthetic beat applied to a lot of the current releases in the charts. 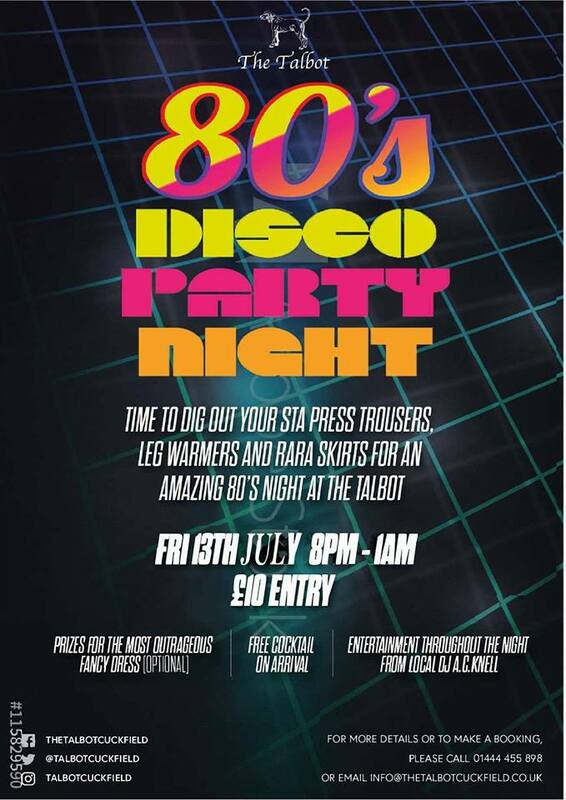 I used to manage ‘Back to the 80’s’ Brighton’s biggest Eighties event every Tuesday night in Brighton from 2011 – 2013 and this drew in crowds of people that lived in the era as well as students wanted to step into the nostalgic past and imagine what it was like. Well the good news, is the Eighties will be returning to The Talbot Inn, Cuckfield on Friday 13th July 2018. For all you Karaoke lovers out there that have enjoyed my Karaoke nights around Sussex, I’ve got some exciting news that will be revealed soon to a new venue that we will be hosting Karaoke at soon. … as the old saying goes! I witnessed this on a rare Saturday night off recently to attend a party as a guest. As we arrived at the venue around 7PM, I overheard the party hosts beginning to panic that their DJ hadn’t arrived yet. Trying to ease the situation, my wife did state I was a DJ, however I was not in a position to openly step in to assist as my equipment was at home. I was a little concerned for the party goers as well. They were expecting their DJ to start at 7:30PM and finally once confirmed with the venue owners, were then told that he wouldn’t get there until 8PM. This is not a good start in my books, I would always aim to arrive on the allocated time that has been agreed with the host and/or try and arrive earlier to make sure everything is in good running order before the guests arrive. It was fortunate for the DJ that there was an in-house sound system, lighting rig and a DJ booth, however you should never assume all is in working order. Look presentable. Arriving in a scruffy hoody, jeans and trainers does not set a good image to your business or to your clients. As it was the party was fancy dress, so I would either get involved with the theme or in smart attire (and I am not talking a full blown tux; shirt, smart jeans and shoes is generally acceptable) to show that you are a professional. Whenever I am playing I wear my own branded shirts to show a) I am proud of my business and b) a chance to get repeat or future bookings from clients whilst advertising my brand. To the client: Do you know what you’re paying for? What type of equipment do you have? What happens if you cannot make my event? What back-up measures have you got in place? Are you willing to meet up to discuss my/our party plans and music selection? Do you have any reviews from previous customers that I/we can see? 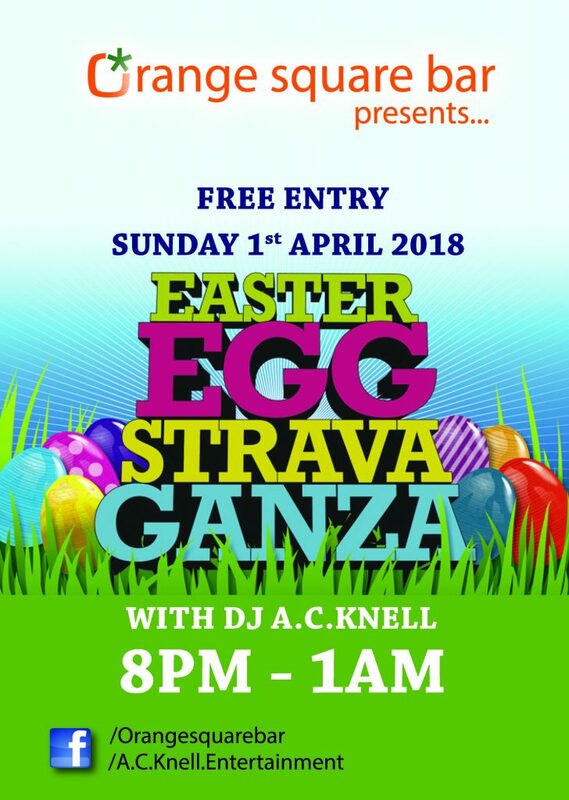 Any extras you can offer to make my/our event special? If the DJ/Entertainer is able to answer the above honestly and confidently, then make your own judgement call on if they are best suited for your event. Showing intent to meet up with you, shows that they want to offer a tailored package to suit you and your guests needs. 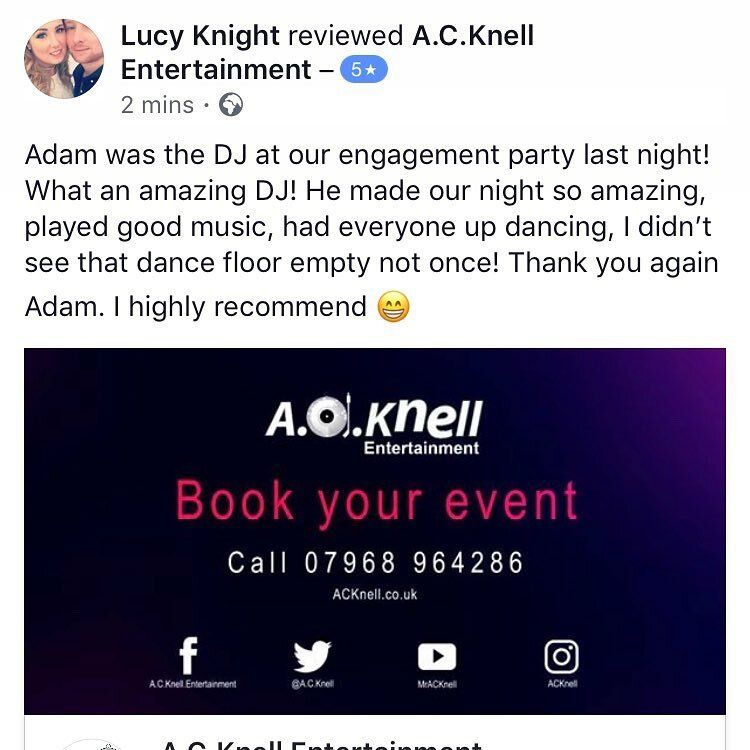 At A.C.Knell Entertainment, we never treat our bookings as the same, each night is unique and is usually down to a combination of the music, equipment we use and the guests as well that make the night a huge success. There are unfortunately like a lot of tradesmen, cowboys in our industry as well. We worked with Dominic Littlewood and Melinda Messenger for Channel 5’s ‘Cowboy Traders’ a few years ago when a rogue Wedding Planner had stolen a couple-to-be’s money for their wedding day. It was great to step in and be able to provide them with an evening reception to remember for all the right reasons. You can read more or post your own review linking back to our earlier article on How did we do? This usually comes with years of experience. I am not saying you need a Psychology Degree to analyse people’s behaviour, however get a general feel for what your client and their guests want in advance. Ask them to produce a playlist of their top 10-15 or ‘must-have’ songs for the occasion. 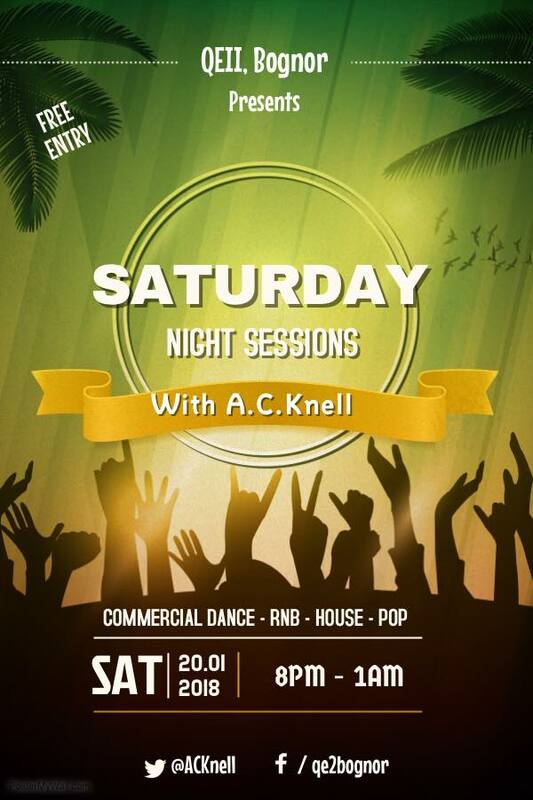 A.C.Knell Entertainment offers the right music selection for all events with a diverse library of over 100,000 songs from 1950’s – present day. It can be easier said than done when you have a mixed age group, however I would advise not sticking to one specific genre of music for too long as this may end up clearing your dance floor. Interact with the crowd, show that you are approachable and not just stuck to a specific playlist. Use the microphone where appropriate however use it sparingly as well. A big no in my books! Does not look professional in the slightest and makes it look like you do not want to be there. Unless you had a legitimate reason for sitting down, such as you have a leg injury as an example, I would try and avoid this at all costs. You’ll end up looking like a Bingo caller instead. To the client: How was communication on the lead up to your event? If the DJ has gone above and beyond answering any questions you had on the lead up to your event, then that is great. It shows they have a general interest in your occasion and are not just taking the booking on for the money. We hope the above helps when making your own enquires and thanks again for reading! I hope you’re well and enjoyed the festive break. We celebrated some great news that the latest edition to the Empire is going to be a boy… so feeling just a little bit less outnumbered now; although the numbers are still against me! January has been exceptionally busy for me, in what would normally be a quieter time of year. The first Saturday of 2018 I saw in at Orange Square Bar in Haywards Heath as a few simultaneous birthday parties were in celebration throughout the evening and wow, what an amazing night that was! It was great to be back at the Bent Arms, Lindfield on Friday night just been as we celebrated Lorraine’s 60th birthday and also her Pearl Wedding anniversary, a great night had by all! And Saturday just been a joint 30th for both Ricky and Tom at the Mid Sussex Golf Club in Ditchling. Not only was it fancy dress party, however everyone was up dancing all night long. 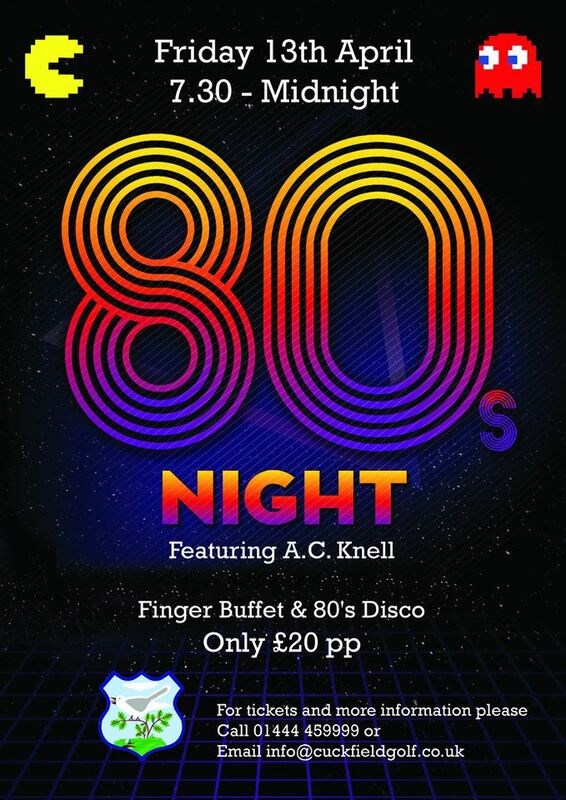 The 80’s night will be held at Cuckfield Golf Club, in Cuckfield on Friday 13th April 2018 with tickets being sold for £20 per person. This will include a finger buffet and all the great music from this era. I hope to see you out at either night or hopefully at a venue near you very soon. Corny heading I know right? However for any DJ to be successful at what they do, they must have a decent PA system to play out to their party guests. Passive speakers or Active speakers? Passive speakers require a seperate amplifier to be connected and offer power to the speakers. You need to make sure that the amp is powerful enough to support the preferred output you have chosen. This means you do not need to use additional power points to power these, however you will end up lugging around an amplifier in the meantime. Active speakers are independently powered with the amplifier contained within the speakers and/or bass bins. You will need to make sure there is sufficient power points available at the venue for this, however the added benefit is you will no longer need to move around a standalone amplifier as this will offer a portable solution with microphone or mixer inputs directly into the speaker itself. How powerful is the system and/or how many people can this cater for? The output of a speaker system is very important whilst doing your research. It is key to understand what type of events you usually cater for and how many people are usually in attendance. On average this can range between 80 – 150 people normally, with larger events looking at 350+ people. I have recently invested in the HK Audio Linear L5 Club Pack from DJKit.com which boosts a massive output of 4400 watts. Now obviously I haven’t had the chance to push this to it’s full potential yet, however early signs show that it has a large throw with the sound across the room, which leads me to my next point. What size of venue do you usually perform at? This is extremely important with the acoustics of the room. If you are using a smaller system (for example with an output of 400 watts) this isn’t exactly going to carry well in a large concert room. Assess the type of venues that you normally perform at and make a call on what system will best fill the room. What manufacturer warranty/guarantee is available with the system you are looking into? A good quality PA system does not come cheap. If you are playing in the public domain you should realistically look at spending anything from £600 upwards. The RRP on the HK Linear 5 Club Pack that I’ve acquired is £3,839, however the system also includes a 5 year warranty should there be any unforeseen issues that you encounter with usage. Investing in a new system alone is not enough, you should look at sourcing good quality speaker cables or leads that are compatible with your PA. This will make all the difference with the output of sound. Thanks for reading and feel free to ask any questions on what you’ve seen! Reinventing and creativity both have similar meanings… with the main focus on producing something new. With remixes, re-edits featuring snippets of audio reminiscent from former chart hits, some would say it is an artists way of cashing in on past songs fortunes and success. Well recently there was a high-profile law case that has impacted two artists in particular; Pharrell Williams and Robin Thicke with their chart hit “Blurred Lines”. With the Marvin Gaye family claiming that the song resembled the late legends hit “Got to Give It Up ” both artists were ordered by a US court to pay the family $7.4m in royalties. Yes Pharrell himself has admitted he was inspired by Marvin Gaye when producing his “own” sound, however what does this mean to other hits of his? “Happy” has also been criticized by the family for another one of Gaye’s hits. One would argue that yes there are definitely similarities in the beat which in my opinion I couldn’t really see as a crime as there are many “copy-cat” tunes out there inspired from other classics. This has now made artists very wary on the way they produce their music and what beats they can use, which takes me back to my point on creativity. Have we really reached a point in music where a song is truly a unique experience and no inspiration has been taken from existing music out there? Personally I like the fact that artists are breathing fresh life into hits and lyrically I would argue that “Blurred Lines” is a totally different song. I would understand it if they took audio bytes of lyrics and made it into their own sound. Artists have to be very careful about how they collaborate with an artist living or dead following on from this case. I always get a little bit excited when performing at iconic venues like Hever Castle. I think this is partly down to being intrigued about the history behind the venue, it’s architecture and how it works with the acoustics for my sound system or lighting. Located in the village of Hever in Kent, near Edenbridge, Hever Castle began its life as a country house, built in the 13th Century. This became the seat of the Boleyn family from 1462 to 1539. Anne Boleyn was the second wife to King Henry VIII and when her father had died possession was passed on to him. With the historic surroundings of the moat and located by the Aster Wing, I was setup and ready to go. The lovely couple had their first dance to a Connor Maynard cover of Swedish House Mafia’s “Don’t you Worry Child”. The evening was great and both Charlotte and Jonny’s friends and family were up dancing all night long. I think you’ll agree with me the newlyweds looked absolutely amazing! Wish them all the best in their new life as husband and wife. It’s been a while since my last post, however things have been might busy at A.C.Knell Entertainment HQ. I am excited to announce I will be starting another residency at newly opened Penny’s in Burgess Hill. On the site where former Mooch @ 76 used to be (76 Church Walk, Burgess Hill, West Sussex, RH15 9AS), Penny’s was opened by a friend of mine on Saturday 12th July 2014. General Manager Naomi Penny opened the bar after tragically losing both her mum and dad to cancer. The opening night saw a massive £500 raised for St Peter & St James Hospice; a charity very close to Naomi’s heart. Penny’s are offering something very unique to Burgess Hill with a wide selection of cocktails, great food (got to try the cakes) and a great selection of live music. As well as providing our support with their marketing, I will be starting this Friday (every Friday throughout August) playing a selection of chart & dance anthems from 9PM to get you set for the weekend. I hope you can join me there this Friday or any other Friday in the summer. Karaoke will also be on the first Thursday of every month. For more details about all the events held at Penny’s be sure to check out their Facebook page.